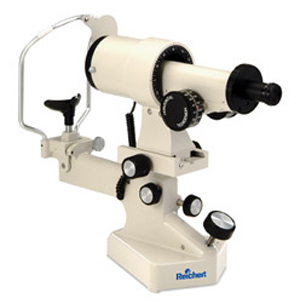 Keratometer Reichert MK1 - Ophthalmic Equipment and instruments for the professional of today. The Keratometer Reichert MK1 now utilizes LED technology to provide clear, consistent lighting, removing the need to ever change bulbs. What we didn’t change are all the great features that have made our Keratometer Reichert MK1 the worldwide instrument of choice by discerning practitioners for over fifty years. Are you done with the Keratometer Reichert mk1? Go to Keratometers.